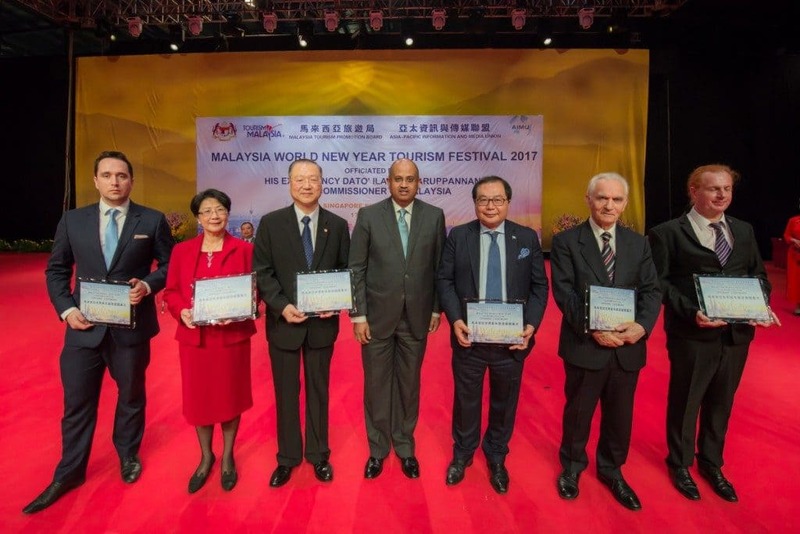 On the 17th February 2017, 2:00 PM, The Malaysian New Year Tourism Festival 2017 was jointly held by the Malaysian Government Tourist Administration and Asia Pacific Information and Media Union at Singapore Expo. Attendees are politicians, invited guests, artists, entrepreneurs, and famous scholars from Malaysia, Singapore and around the world. There were more than 5000 people from over 30 countries such as West Asian countries, China, Europe and the United States that had attended this grand opening ceremony. We are honoured to have distinguished guests in the event, Dato’Ilango Karuppannan, Malaysian ambassador to Singapore, Ishak Ismail, director of the Malaysian Tourism Administration to Singapore Office, Mohd Faizal Misbari, representative from Malaysia, Chairman Xiao Wunan who is the senior project officer of the United Nations International Cooperation and Coordination Committee, current executive vice chairman of the Asia-Pacific Exchange and Cooperation Foundation, also the vice Chairman of China Society for Social and Economic Exchanges, the executive vice chairman of Asia Pacific Information and Media Union, honorary professor of University of Siena, Jun Honglu, Malaysia Datuk and justice of the peace, Yasar Yakis, former foreign minister of Turkey, Ms. Lin Lihua from Australia, Sydney Mayor, Honorary Mayor, Giles Kenningham, News Minister of the former British Prime Minister, and other invited special guests around the world, such as presidents of media groups, chairman of charity organisations, artists, entrepreneurs, and world-famous professors. The tourism festival opened with the tropical style of Malaysian folk dance performance. Mr. Junhong Lu, who is the executive vice chairman of the Asia-Pacific Information and Media Union (AIMU) also delivered the welcome speech for the event. He said Malaysia is a very beautiful country, known as the garden country, with its unique cultural style, it is also a world famous tourism resort. The event aims to promote the prosperity in tourism and culture exchanges, as well as the development of multi-cultures in the Asia-Pacific region. With the global and Asia- Pacific Region support from the Asia-Pacific Information and Media Union for the media resources and publicity, it will not only help the world to have a better understanding of Malaysian culture and its customs but also will greatly promote the tourism and cultural development among Malaysia and the Asia-Pacific Region. 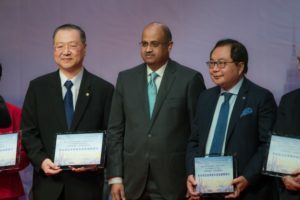 Chairman Xiao Wunan, who is the senior project officer of the United Nations International Cooperation and Coordination Committee, current executive vice chairman of the Asia-Pacific Exchange and Cooperation Foundation, also the vice Chairman of China Society for Social and Economic Exchanges made a special opening speech at the event. He said that Singapore, Malaysia and Thailand are the top choices of tourist destinations in China. On behalf of the AIMU Council, Chairman Xiao expressed that the similar future tourism festivals will be held not only in Singapore, Malaysia, but also in China. In addition, the event is also a positive response and practice this year to Premier Li Keqiang’s new intention for co-operation with the ASEAN countries. The event has made positive efforts and attempts for developing and strengthening the cooperation with ASEAN. Dato’Ilango Karuppannan who is the Malaysian Ambassador to Singapore also introduced the prosperous tourism culture and developed tourism industry in Malaysian. He said that Singapore and China both are playing a very important role in the Malaysian Tourism industry. 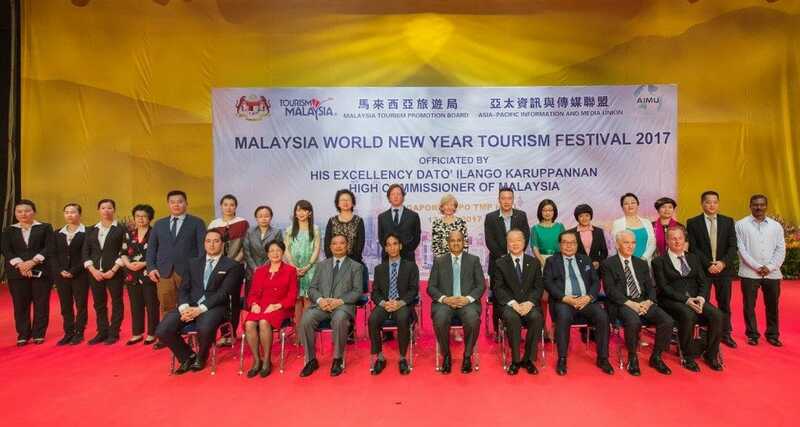 The tourism festival is a good platform for both sides to exchange thoughts and share knowledge, it helps more people to have better understanding the country of Malaysia. The guests from Malaysian Government and overseas guests exchanged souvenirs to show their wishes of good friendship. During the event, the movie introducing the country of Malaysia was shown for the guests, we have singers, dancers, artists from Malaysia, Australia, Mainland China, Taiwan and Singapore coming to the event. The invited famous singer Meng Tingwei, Huang Hui, Huang Siting and other performers presented excellent performances, that was a wonderful visual banquet for all the participants.